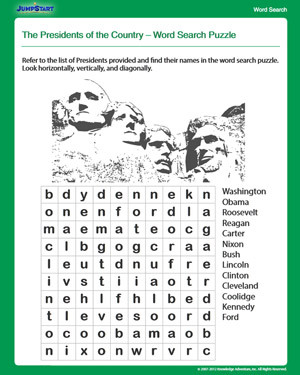 Fun and educative, this social studies worksheet introduces your fourth graders to the head of the state, that is, the president of the United States of America. How many presidents can your kids recognize? The word search puzzle in the bottom will help you test that.